To reach out to every Jew in Marion County and surrounding communities regardless of their affiliation, level of observance, or background. 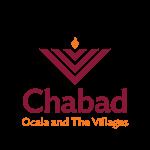 To provide the needs of the Jewish community both spiritually and physically. To create a warm Jewish environment where every Jew will feel at home. Rabbi Yossi Hecht, born and raised in Chicago IL, attended high school at Ohr Elchonon Chabad in Los Angels, California and received his rabbinical ordination from Rabbi Yehudah Yeruslavski, a leading Rabbi in Israel and a member of Central Chabad Rabbinical Court. Rabbi Yossi also served as a student intern providing educational programs and holiday events benefiting Jewish communities around the world including Russia, Latvia, Germany, Romania, and cities across the USA. Rabbi Yossi is an accomplished educator specializing in Jewish educational programming. Chanie Hecht (nee Stock) grew up in Crown Heights, Brooklyn. She graduated from Beth Rivkah, the largest Jewish girl’s school in Crown Heights. She completed her college year in Ohel Chana of Melbourne, Australia. Chanie then headed J.E.P. and other extra curricular activity programs for her alma maters. During the summers, she directed one of the largest Jewish girl’s camps in the Catskills. The Hechts are joined by their adorable daughter Matel, two sons Mendy and Shimshon, and Tila who already became partners in their parent’s work.